Want to use this article? Click here for options!© The Associated Press. All Rights reserved. 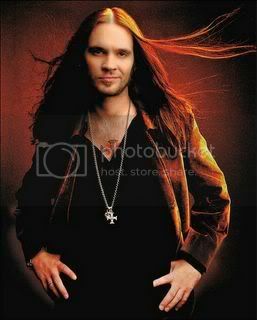 Bo Bice hasn't traded his grandma-made rocker threads for Hollywood's designer labels just yet. While fellow "American Idol" contestants change hairdos and fashion styles weekly, the Alabama native remains true to his down-home garb _ sometimes fringed and earthy, at times glossy liquid leather _ and his signature, shoulder-length locks. Heading into Tuesday's final four match, Bice's fans in his hometown of Helena are watching even closer for any changes. They don't expect any from the 29-year-old Southern heartthrob who still wears the vintage attire designed and sewn by his grandmother and jewelry created by a local bead artist. Bice is expected to wear the latest "really wild" creation from Grandma Madge Schofield and a jade necklace crafted by Helena artist Lora Popwell during Tuesday's performance, Downes said. "Pretty much everybody knows the Bo on TV is who you get," said John Cooper, bassist and back up singer in Bice's band, SugarMoney. His loyalty is evident: He has a steady girlfriend, a menagerie of dogs, cats and turtles, and a town that defends him like blood _ especially after he claimed Helena as his hometown over metros like his birthplace of Huntsville and better-known, nearby Birmingham. Signs reading "Go Bo Go" are plastered all over Helena's storefronts, churches and City Hall building, and the Bice Squad fan club is looking for members. "He's very loyal. You didn't hear a lot of negativity about him until Smoking Gun got a hold of it," said Helena spokeswoman Joy Childers, referring to a recent report by thesmokinggun.com about Bice's two drug arrests over the past four years. By all accounts, the 10,000-population city stood by Bice during the ordeal, which had little effect on his popularity on the show. 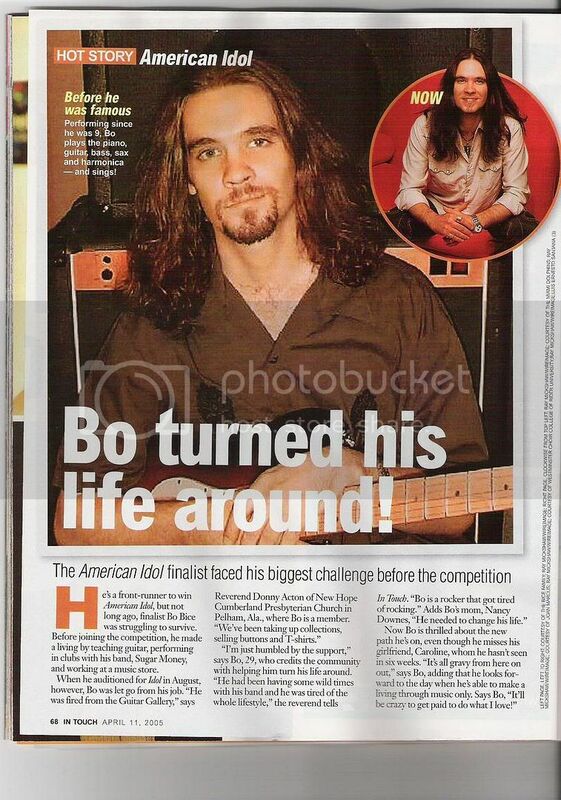 Bice has emerged as an unexpected favorite, steadily gaining respect from the three "Idol" judges. When fellow rocker Constantine Maroulis was knocked off in the April 27 episode, Bice stepped into the forefront as the judges' "true rock star." Well, more like a rocker with a soft spot for stray pets, Moon Pies and his mom. Around town, he's known as a good Christian, devoted to the New Hope church and his friends. At home, he's the family's beloved "hippie perfectionist." Born in Huntsville, Bice spent most of his life between Alabama and Georgia, with close ties to his mother, grandmother and aunts. His parents divorced when he was 3, and the next few years spent in Atlanta were particularly hard on the toddler and his single mom. "He's been considered a momma's boy," Downes said. "There were nights when we were struggling with a mattress on the floor of a one-bedroom apartment, eating spaghetti every night." "It was really tough. That's the reason I think we are so close," she said. Bice's family grew, with another brother _ a clean-cut U.S. Marine _ and later two stepsisters and a stepfather he considers his dad. Downes said she always encouraged Bice's love of rock 'n' roll, and even the image that went along with it. 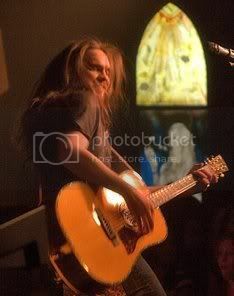 Bice has sported his lengthy locks for as long as she can remember: "He's had the hair from Day 1. Bo's hair used to be down to his waist. We just hated him because it was so beautiful." A job transfer by his stepdad pulled him to London during his high school years, before he returned to Alabama and joined a garage band called Purge. 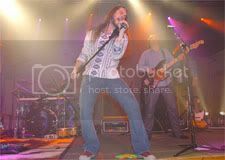 As some band members moved on to other jobs, Bice consistently played with two _ Shane Sexton and Cooper _ and created the three-member SugarMoney in 1999. 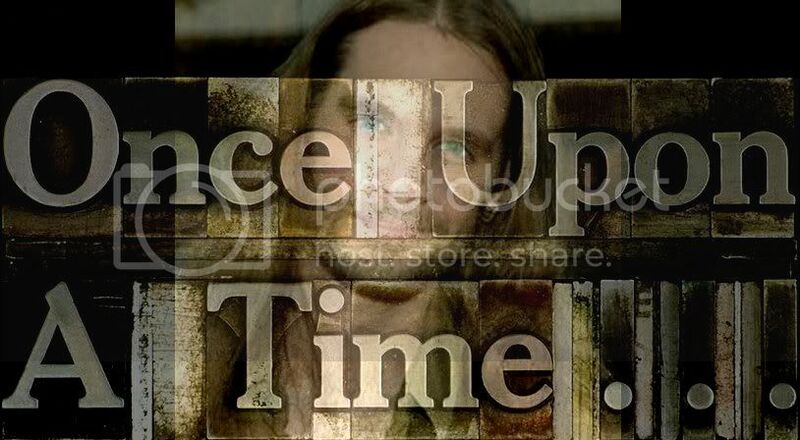 While music was always the main focus, Bice still had to pursue odd jobs to pay the bills: pizza parlor employee, apartment maintenance man, landscaping. "He's the best on a Weed Eater," recalls Cooper. The band has remained supportive, Cooper says, with no worries of being ditched: "It makes me feel good to know that all those years we were playing to the ashtrays, playing to nobody, was worth it for somebody."